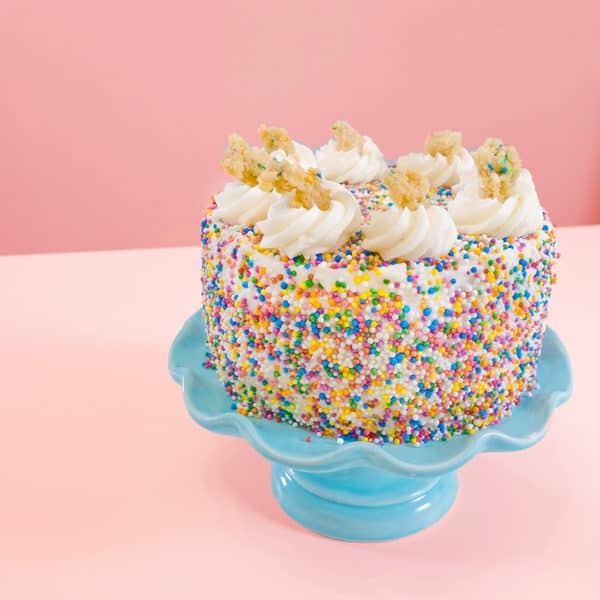 Our confetti cake is a slice of pure nostalgia. If you were the kid that lived for a vanilla sprinkle cake made from a boxed mix that was covered in that thick tub of extra white frosting, then this cake is for you. 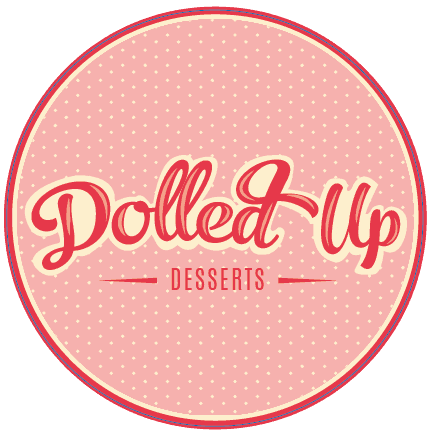 We decided to take the challenge of making our vanilla cake the furthest thing from plain, while still creating something that would satisfy the true vanilla lover. This is a cake you will want to share with any and everyone. Here’s the Confetti Cake Story: Layers of spongy and sweet vanilla cake that are chock full of rainbow sprinkles, just like the cake when you were a kid! 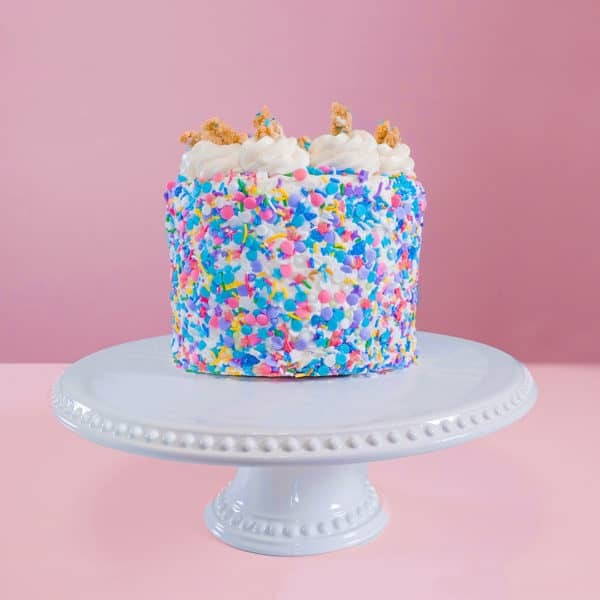 The cake is layered with a thick and vanilla cream cheese frosting and crunchy vanilla confetti cookie dough crumbs. The cake is then frosted lightly on the outside with more cream cheese frosting and then completely covered in rainbow sprinkles. If you love sprinkles and sweet candy vanilla, this cake was made for you. ALLERGENS: The Confetti Cake cake is free from gluten, dairy, eggs, nuts and animal products. It contains soy.